The above info came from Rachael, and was edited by yours truly (contact me). 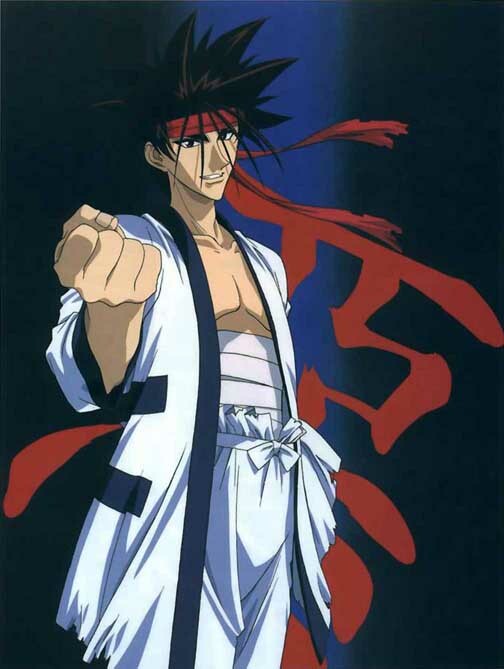 Sanosuke is a good friend of Kenshin's. They started out as enemies, but after Kenshin defeated him, he followed through with a lecture that reminded Sano of how his idol, Sagara-taichou, used to talk. Sano likes to spend his time gambling and drinking. He also never turns down a fight. He tends to rush into things, which often results in him getting hurt. He also has an incredible stamina, and takes hits a lot more easily than most people. He won't quit until he's practically unconscious. Sano used to be a fighter-for-hire, but now he's just a freeloader. He gets free food at the Kamiya Dojo, so why bother working? He also used to carry a Zanbattou, which is a HUGE sword. This was broken by Kenshin. Now, he uses his fists all the time, and is still a formidable fighter. He's also incredibly fast, which is a result of him using the extremely heavy Zanbattou. Sanosuke always wears a simple white shirt and pants. 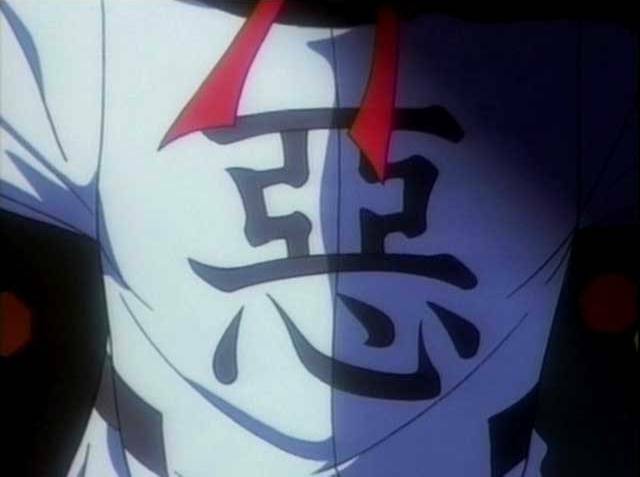 On the back of his shirt is the symbol of "aku" (悪), which means "evil". Many think he wears it to enhance his "bad guy" character, but he really wears it to remind himself of the label the Sekihoutai were given when they were denounced as a false army--one of the many things he hates about the government. It is stated in Volume 2 that Sonosuke took his last name from the Captain of the Sekiho Army. The above description came from Rachael and Who Wants to Know?, and was edited by yours truly (contact me).